Premium build quality and features designed for today's luxury homes. Compares with lighting control systems costing tens of thousands of dollars. Presence detection illuminates multi-color glow ring to greet you as you approach it. Multi-touch interface lets you control groups of lights from any Lightpad. Built in energy metering displays on smart phone. Microprocessor based for regular feature updates and enhancements via updated firmware. Works with multi-way switches and multi-gang installations. Rated for dimmable LED loads up to 150W and incandescent/halogen up to 400W. Free iOS app (Android Beta) to control your lights from anywhere in the world. Neutral wire required. 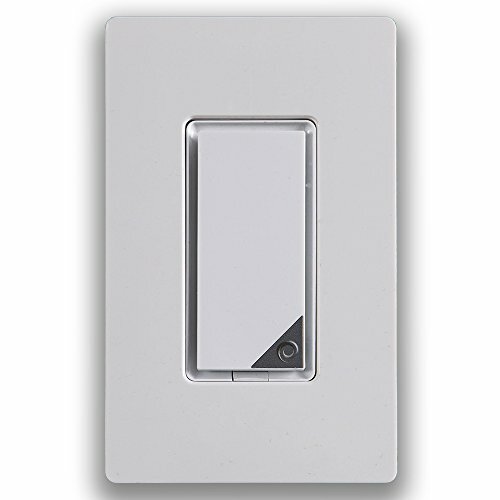 Uses standard decora switch plates.